In this big-box store, Amazon-Prime economy, it’s easy to forget about the small businesses of the world. One Christmas gift for my daughter Laura was a gentle reminder to me that there are companies among us who truly care about each customer, who put their soul into their products, who want to astonish us by both their products and their service. One of our family Christmas traditions concerns calendars; Laura thoughtfully chooses photos to match monthly birthdays and anniversaries then puts together a memory-filled Shutterstock photo calendar for me. I search for an interesting, nothing run-of-the-mill calendar that I know she’ll enjoy. My search this year took me to Linnea Design via Amazon. They specialize in poster type calendars with rich colors. I could have bought the calendar on the Linnea site, but I got it for the same price plus free shipping on Amazon, so…. But when the Amazon package arrived in a regular Amazon box with bubble wrap, I realized I hadn’t read the description fully enough. The pages are indeed individual posters, so I needed to buy a frame for them. I went back to the Linnea site, ordered the frame and a monthly book (with the same poster pages) for my desk. Upon its arrival, I found that the company had inadvertently sent another poster calendar along with the frame and book. I called to let them know so they could adjust their shipping practices if necessary. But mainly I called to tell them how impressive their packaging is. The poster calendar was in a bright red, heavy stock, tri-cut folder that fit the poster pages exactly. It was adorned with a wrap-around two-inch white ribbon and sticker. This was then placed inside green tissue paper, folded with precision, and taped. Clearly, someone invested time and care in ensuring that this looked great! Buying from a nice small company made my heart go pit-a-pat. I wonder which of the six employees wrapped the calendar. Although he’s referred to as a “wonder dog,” I’m willing to bet it wasn’t Sparky. How lovely! I just book marked the website!!! Yes, you would like their products. It was just such a refreshing experience! I also liked your story. I remember your last Sparky. Rest in peace in doggy heaven. Norma, heart warming and I also am going to check out their site 🙂 Thank you for sharing and Happy New Year! Sami, thanks so much for sharing my page on Facebook. I appreciate it. 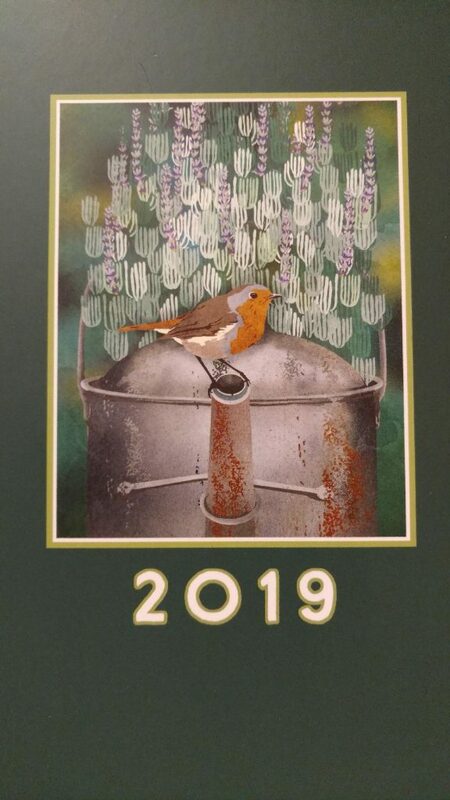 May 2019 be a bountiful year for Sonlight Window Coverings!